A number of activities has been conducted in order to bring voices to the regional and international forums on climate change. Ozone depletion substances are controlled under the Montreal Protocol (MP). With the Protocol’s success in phasing out CFCs and replace it with HFCs. However, with benefits to ozone, HFCs is among short live climate pollutants (SLCPs) with high global warming potential, contributing to climate change. The consumption of HFCs as refrigerants for refrigerators, air conditioners, containers, etc. is on a rising trend which will contribute to the global temperature increase. By phasing down HFCs, we can avoid temperature increase of 0.5 oC by the end of the century. Parties to the Montreal Protocol agreed in Kigali, Rwanda, in October 2016, during the 28th Meeting of the Parties to the Montreal Protocol (MOP 28) to phase down HFCs with the outcome of Kigali Amendment (KA). KA is yet to be ratified by parties to ensure the world proceeds with the HFCs phase down. Climate Watch Thailand with the support of Christian Aid, organised a few workshops to highlight the importance of HFCs phase down and the ratification to Kigali Amendment in order to avoid temperature increase of 0.5 oC by the end of the century. The meetings were attended by CSOs including Foundation for Women, ProRights Foundation, Women Human Rights Defenders, Forests and Farmers Foundation, Chulalongkorn Social Research Institute and Peaceful Conflict Resolution Centre of Chulalongkorn University. The meetings were organised in preparation to the upcoming 39th Open Ended Working Group Meeting of Parties to the Montreal Protocol, held from July 11-14, 2017, Bangkok, Thailand. The discussions were to understand the link between the Paris Agreement and HFCs phase down and update on the elements of Kigali Amendment and the need to call for parties to ratify the Kigali Amendment. 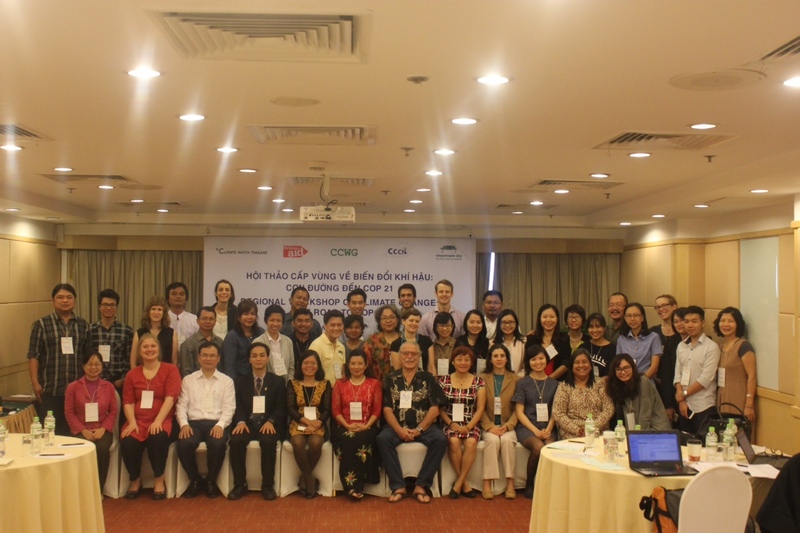 A regional workshop on PreCOP Workshop: Road to Paris was organised together with Christian Aid, NGO Forum on Cambodia, Cambodian Climate Change Network and Vietnam Climate Change Working Group, in Hanoi, Vietnam, supported by KEPA, Christian Aid and FES Vietnam. The outcome document which forms the statement and recommendation of SEA CSOs towards Paris Outcome. Click to see the Outcome Document of the Workshop. The SEA CSOs has been actively engaged in the discussion and therefore seek to collaborate more. A so-called CSOs Consortium was established in order to find opportunities to discuss in-depth climate issues to represent voices of the CSOs in Asia. Issues negotiated during the Paris Climate Negotiation and Conference were followed, with the focus on the vulnerability of SEA countries and call for finance to adaptation and address the issue of loss and damage. 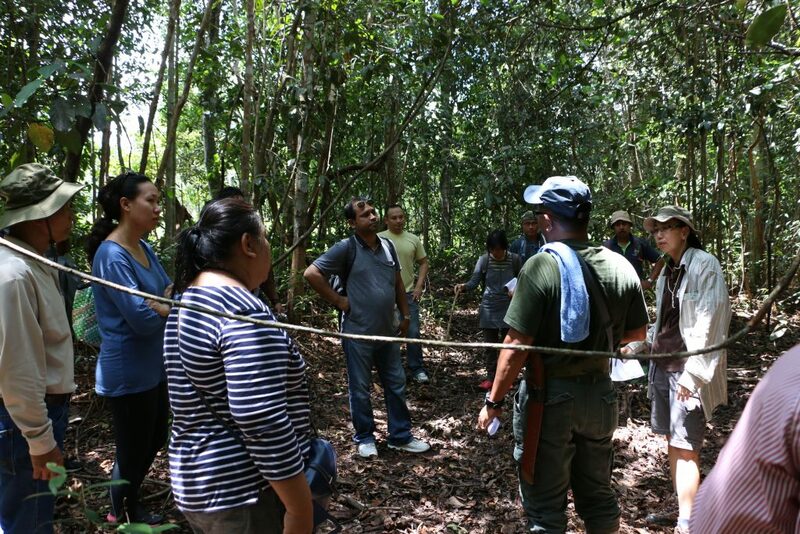 As developing countries are vulnerable to impacts of climate change, a joint statement with Central American CSOs was released during the COP 21. 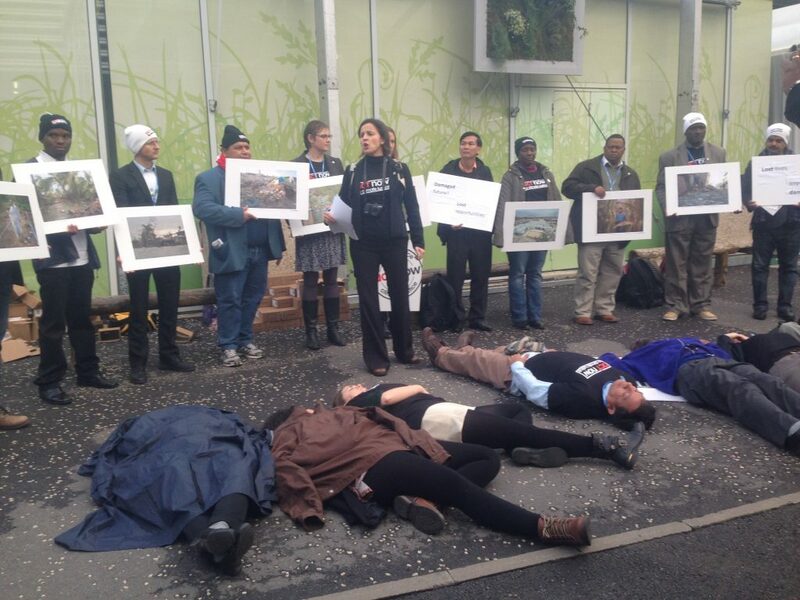 Joint statement: Our Climate Danger Is A Threat To The World, Warn Campaigners from SEA and Central America. 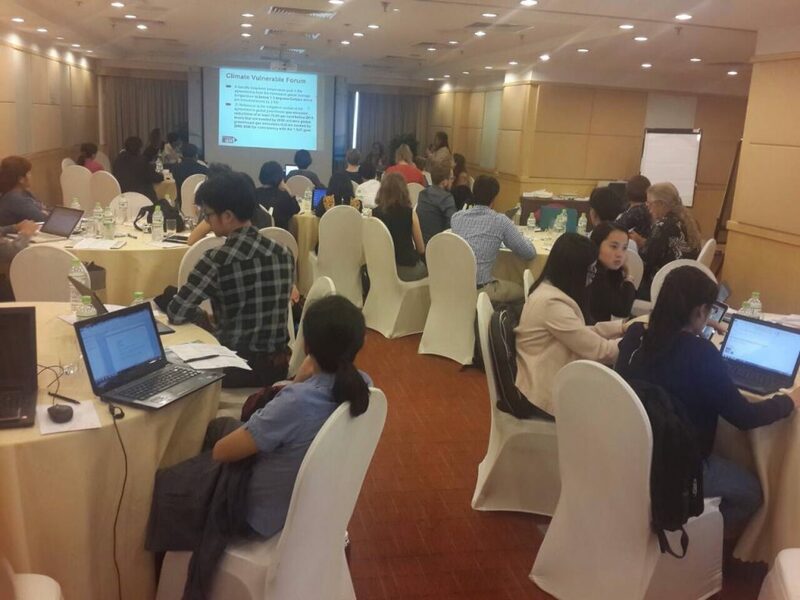 A Workshop on Paris Outcome and Its Implications on Asia was organised together with Christian Aid and Malaysian-based Global Environment Facility in March 2016, in Melaka, Malaysia. Paris outcome and its implication was actively discussed. The outcome was the strategy among Asian CSOs towards 100% Renewables, Resilient Cities, Advocacy on Loss and Damage and Climate Justice. The collaboration among CSOs has been enlarged to cover Asia. 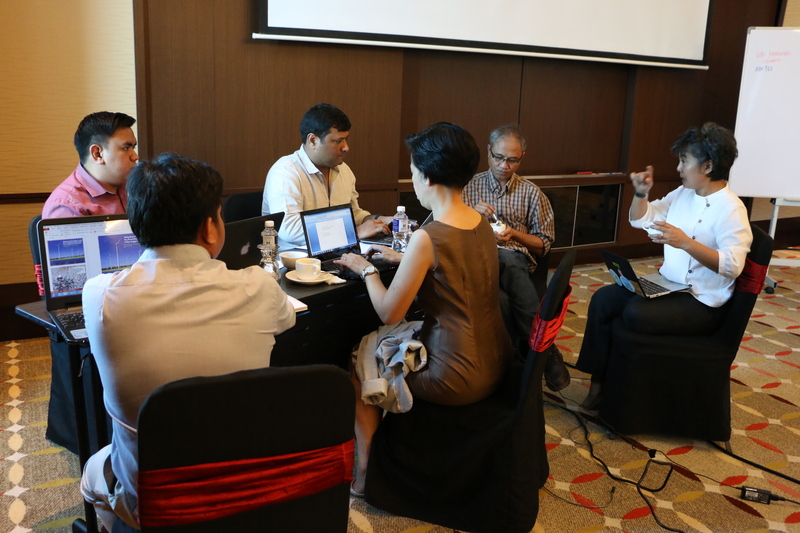 Alliance/network in the Consortium include local and national CSOs based and working in SEA (except Brunei), South Asia and Middle East.